SAN BERNARDINO, Calif. -- Through the first three races of 2016, Todd Gilliland and Ryan Partridge have dominated the conversation in the NASCAR K&N Pro Series West. Chris Eggleston made a statement of his own Saturday night at Orange Show Speedway. The defending series champion took the lead from Partridge with seven laps remaining and cruised to his first win of the season in the Sunrise Ford 150. With it, the Erie, Colorado, driver of the No. 50 NAPA Filters Toyota showed he's very much in the hunt for the title again. The win was Eggleston's fourth of his career. Just as importantly, it was his fourth top five in as many races and moved him to within nine points of Gilliland for the top spot in the series. Eggleston took the lead when race leader Ryan Partridge spun on the tight quarter-mile trying to avoid a lap-down car. Eggleston then held off Jefferson Pitts Racing teammates Gracin Raz and Noah Gragson -- who finished second and third, respectively -- on a green-white-checkered finish that pushed the race distance to 151 laps. Gilliland and Julia Landauer completed the top five. Partridge salvaged a sixth after winning the Coors Light Pole Award earlier in the day and leading most of the event. It was Partridge's first finish outside the top five, and kept him four points back of Gilliland and five points ahead of Eggleston in the standings. Ron Norman finished seventh, followed by Matt Levin, Blaine Perkins and Jesse Iwuji. The K&N Pro Series West’s first visit to the historic quarter-mile outside of Los Angeles in since September 23, 1978. The Sunrise Ford 150 will air on NBCSN on Wednesday, May 25 at 6 p.m. ET (3 p.m. PT). The NASCAR K&N Pro Series West will head to Eggleston's home track, Colorado National Speedway, for the Toyota/NAPA Auto Parts 150 on Saturday, June 11. 1. (3) Chris Eggleston, Erie, Colo., Toyota, 151 laps, 38.663 mph. 2. (4) Gracin Raz, Lake Oswego, Ore., Ford, 151. 3. (2) Noah Gragson, Las Vegas, NV, Ford, 151. 4. (6) Todd Gilliland, Sherrils Ford, N.C., Toyota, 151. 5. (8) Julia Landauer, New York, N.Y., Toyota, 151. 6. (1) Ryan Partridge, Rancho Cucamonga, Calif., Ford, 151. 7. (11) Ron Norman, Tucson, Ariz., Ford, 151. 8. (14) Matt Levin, Tucson, Ariz., Ford, 151. 9. (5) Blaine Perkins, Bakersfield, Calif., Chevrolet, 151. 10. (13) Jesse Iwuji, Dallas, Texas, Toyota, 150. 11. (10) John Wood, Eagle, ID, Chevrolet, 146. 12. (12) Rich DeLong III, Santa Clarita, Calif., Chevrolet, 145. 13. (16) Rich DeLong, North Hills, Calif., Toyota, 142, accident. 14. (7) Cole Rouse, Fort Smith, Ark., Ford, 141. 15. (15) Dan O'Donnell, Oak Hills, Calif., Ford, 81, electrical. 16. (9) Riley Herbst, Las Vegas, Nev., Toyota, 74. 17. (17) Dan Phillippi, Los Angeles, Calif., Toyota, 35, accident. Caution Flags: 9 for 63 laps. Standings: 1. T. Gilliland, 178; 2. R. Partridge, 174; 3. C. Eggleston, 169; 4. N.
9. R. Norman, 135; 10. M. Levin, 127. ALL AMERICAN SPEEDWAY. 1/4 MILE. ROSEVILLE, CA. www.allamericanspeedway.com SATURDAY, MAY 21ST. The All American Speedway will be treating their NOR-CAL fans to a full evening of racing provided by the Street Stocks, the Bombers, the NCMA Midgets and vintage racing from the CVRA. The front gates will open to spectators at 4pm followed by racing at 6pm. General admission tickets for adults, age 16 to 59, are priced at $10. Tickets for kids, age 6 to 15, and seniors, age 60 plus, are $7. Kids age 6 and under will be admitted free. The speedway also offers a family package, priced at $35, that admits two adults and two kids. KERN COUNTY RACEWAY PARK. 1/2, 1/4 & 1/8 MILE. BAKERSFIELD, CA. wwwkernraceway.com SATURDAY, MAY 21ST. Now here's a true hot ticket because it involves the beautiful, and state of the art, Kern County RWP playing host to the Spears Manufacturing SRL Southwest Tour, regarded by many as being one of the better regional touring series racing in the "left coast" side of the country. The SRL will be treating the fans to the Bulwark FR - Westek by Milliken 150. This race will be divided into twin segment main events. In the first two series races, of the SRL's still young season, drivers Derek Thorn and Ryan Cansdale have parked their cars into victory lane. Thorn, based on some highly consistent driving consistency, holds a 20 point lead over Cansdale in the series' championship standings. Also on the racing agenda will be the INEX Legends running a 30 lap feature, the INEX Bandoleros running a 20 lap main along with the law enforcement inspired and driven 911 Series running a 15 lap main event. The grandstands will open at 5pm followed by qualifying at 530pm, an on track autograph session at 630pm and racing set for 715pm. Ticket prices start at $15 and can be ordered online. Check the raceway's web site for options and details. LOAN MART MADERA SPEEDWAY, 1/3 MILE. MADERA, CA. www.racemadera.com. SATURDAY, MAY 21ST. It's going to be a major change of pace Saturday night when Loan Mart Madera presents the 51 FIFTY Energy Drink Spring Monster Truck Smash and Stunt Show featuring three of the hottest monster trucks in the country plus the big Jet Fire Monster Truck along with the Crazy Dr. Danger Insane Stunt Show. Also on the exciting schedule will be an Enduro Extreme Barrel race, a 40 lap Enduro Sprint race along with racing from the speedway's MST and Toyota Sedan divisions. Monster Truck show time is 6pm followed by racing main events at 8pm. General admission tickets are only $15 for age 13 and up. Kid's tickets, age 12 and under, are $10. LAS VEGAS MOTOR SPEEDWAY BULLRING. 3/8 & 1/3 MILE. LAS VEGAS, NV. www.lvms/bullring SATURDAY, MAY 21ST. Here's another exciting hot ticket from Las Vegas, a city that generates excitement minute by minute of each and every day. The high energy Lucas Oil Modified Racing Series, presented by 1 800 Loan Mart, will highlight Saturday night at the Bullring.with the running of the Sunoco Fuel 75, presented by Carlyle Tools. This race is 75 green flag laps, the series does not count yellow caution laps, with a 30 car field. The race pays $1,500 to win.The modifieds will also be running a 40 B main as well. The series is enjoying another banner season with high competitive levels and very good car counts frequently averaging 30 to 36 entries per race. With three races into the 2016 season, drivers Linny White, Ryan Patridge and Travis Thirkettle have parked their cars in victory lane. However, it has been the consistent driving of Matthew Hicks that has placed him on top of the championship points standings with a 22 points lead over series veteran Scott Winters going into Saturday's race. Also on the Bullring's race schedule will be the USAC HPD Midgets, the NASCAR Super Late Models, NASCAR Super Stocks along with the USLCI Legends, Thunder Cars and Bandleros. Making this evening extra special is the fact that the Bullring will be observing the second annual Military and Veterans Appreciation Night presented by Lucas Oil. Representatives from Nellis Air Force Base, Creech Air Force Base, the Veterans Affairs Health Care System and several other military groups will be in attendance to participate in the opening ceremonies. This special night will include information booths, raffle prizes and a one of a kind static display for fans to enjoy. The opening ceremonies will also include a ten year anniversary tribute to the late Spencer Clark, who passed away in an automobile accident on May 21, 2006. The hard charging driver won 33 main events at the Bullring before his untimely death. On Saturday race day the gates will open at 5pm with racing at 7pm. Tickets are available in advance by visiting the LVMS ticket office, or by calling the ticket office a 1 702 644 4444 or buying them online via the speedway's website. Currently general admission tickets are being offered at the low rate of $8. Even the concession stand is fan friendly and sells $2 hot dogs and Coca Cola products along with $3 Budweiser Beers. Always remember, anytime you place the words racing and Las Vegas in the same sentence it's always going to be a good thing. ORANGE SHOW SPEEDWAY. 1/4 MILE. SAN BERNARDINO, CA. www.theorangeshowspeedway.com SATURDAY, MAY 21ST. This may be the hottest ticket of the weekend. It's certainly is the most talked about ticket of the weekend. 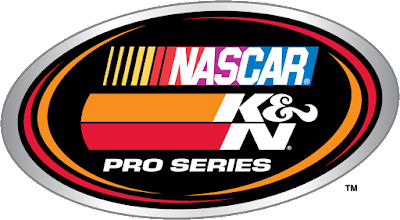 The Orange Show Speedway, OSS, will be hosting the NASCAR K&N Pro Series West this Saturday night who will present the Sunrise Ford 150. This racing series, established here in California back in 1954, has been a training ground for eager young drivers hoping to make their way into NASCAR's three national touring series. In the case of the series's 2016 season, there's the presence of 15 year old Todd Gilliland, the son of NASCAR Sprint Cup driver David Gilliland and grandson of NASCAR West champion Butch Gilliland. This very talented driver, in three series starts this year, has two wins and three top five finishes which places him on top of the points standings. However, there's only a four points separation between Gilliland and Ryan Patridge who has one win and three top fives. This will be the pair to watch when the green flag falls on the Sunrise Ford 150 Saturday night. This event links the past to the present. The last time NASCAR's West Series ran at the OSS was 38 years ago. The event was won by Gentleman Jim Insolo. OSS Promoter Rod Proctor has made arrangements to bring Insoslo back to the OSS Saturday night where he will serve as the honorary starter and Grand Marshall for the race. It will also give OSS racing fans an opportunity to meet this iconic California driver during the on track autograph session. Also on the OSS racing schedule will be the Open Late Models and the 1 800 Loan Mart Street Stocks. Barry Karr leads the Open Late Model standings by a single point over Mark Shackleford. In the Street Stock rankings, Kyle Meyer holds a 15 point margin over Mark Whitson. On Saturday race night the on track action will begin with a practice session from 1 to 330pm. Qualifying will commence at 415pm followed by the on track autograph session at 6pm and racing at 7pm. Additionally, an open practice session will be held on Friday night from 6 to 10pm. Again, wanting to link the past with the present, OSS Promoter Rod Proctor has rolled ticket prices back to 1978 for this epic event. Adult general admission prices are $12. Tickets for kids and seniors are $10. The cost of attending the Friday night practice session is an $8 ticket. This is a major event that is more than worth your time and ticket money. We, the fans, need to stand behind this event will our full support. TUCSON SPEEDWAY. 3/8 MILE. TUCSON, AZ. www.tucsonspeedway.com SATURDAY, MAY 21ST. It's Armed Forces Night at Tucson Speedway, presented by the Arizona National Guard. The NASCAR sanctioned track will be presenting the NASCAR Whelen All American to the start finish line Saturday night. 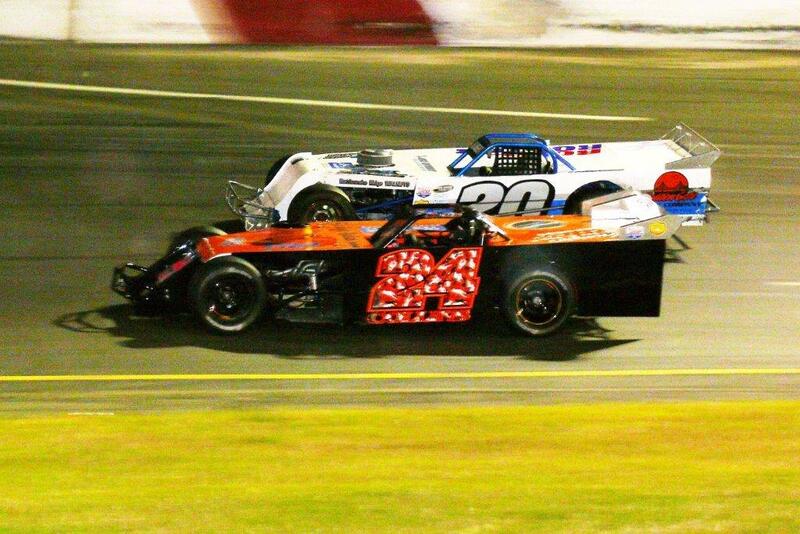 Providing the on track action will be the Late Model, Pro Truck, Modified, Pro Truck and Vintage Car divisions. The spectator gates will open at 5pm with racing at 7pm. General admission tickets, age 17 plus, are $12. Tickets for seniors, age 55 plus, and military personnel are $10. Kid's tickets, age 11 to 16, are $5. Kids age 10 and under will be admitted free when accompanied by a paid adult. The speedway also offers a budget friendly family package, for $30, which admits two adults and two kids. will be competing at Redwood Acres Raceway Sunday night May 29th. The North State Modified Series, presented by Protect the Harvest, moves north to Redwood Acres Raceway in Eureka this Memorial Day weekend for a full program of auto racing Sunday night, May 29. A Saturday afternoon practice will be held on the 3/8 mile paved oval from 1pm until 6pm. Redwood Acres Raceway is located on the Redwood Acres Fairgrounds at 3750 Harris Street. This event, featuring The Swartz Diesel Nor-Cal 60 and the Lucas Oil Dash for Cash will be the second race for this touring series. The May 7 event at Shasta Speedway in Anderson was rained out. The NSMS season opener at All American Speedway produced 24 cars with Jason Philpot of Sacramento the big $1000 winner in the inaugural Sinister Diesel Gene Welch Classic. Philpot was followed across the finish line by Oregon driver Rich Cobb, 2015 Lakeport Speedway champion Mike Collins, Rich Lindgren of Rio Linda, and Keegan Walmer of Charlotte, NC. Philpot's win places him on top of the NSMS points standings with Cobb second. Collins and Lindgren are tied for third place, with Mitchell and Walmer tied for fifth. New procedures will be in effect at this event included a restart rule limiting double-file starts to be used for the first 30 laps or three yellow-flag incidents, whichever comes first. In addition the “Lucky Dog” will be a part of the program whereby under any yellow the first car down one lap will drop to the rear of the field and be put back on the lead lap. These procedures were implemented to improve the entertainment value and close competition of the series. The North State Modified Series will join the local bombers, road runners, thunder roadsters legends cars and mini stocks. For more information visit the North State Modified Series Facebook page or call the NSMS business office at 707-2724-1662. The North State Modified Series is presented by: Protect the Harvest, Swartz Diesel, Lucas Oil, Sinister Diesel, Penney Racing Supply, American Racer Tires, Naake Suspension, Sunoco Fuels, Five Star Bodies, Wrap Star Pro, Wenteq, Scribner Plastics, Renner Petroleum, DJ Safety, and Buckhorn Bar & Grill. DAYTONA BEACH, Fla. (May 18, 2016) – The NASCAR K&N Pro Series West will be back in action this Saturday when they return to California’s Orange Show Speedway after a 38-year absence with the running of the Sunrise Ford 150. Below is a look at the past performance of the series and selected drivers. • Todd Gilliland and Ryan Partridge head into the weekend separated by four points. The Sunoco Rookie of the Year frontrunner leads the veteran 138-134. • This will be the K&N Pro Series West’s first visit to the track since September 23, 1978, when Jimmy Insolo walking away with the win. • The .250-mile oval has been one of the longest continually ran track in the nation, since 1947, and hosted its first NASCAR on August 8, 1968 with a Pacific Coast Late Model Division race. • Jack McCoy has the most NASCAR K&N Pro Series West wins at the San Bernardino oval, with four victories. • The Sunrise Ford 150 will air on NBCSN on Wednesday, May 25 at 6 p.m. ET/3 p.m. PT. • Jack McCoy has the most K&N Pro Series West wins at the California oval with four. • Jack McCoy has also registered the most series career poles at the track with three. • In the eight years the series’ visited the track, the average start for the race winner was sixth. • The lead has changed a total of 1.875 times with a high of five during the inaugural race on August 8, 1963. • The most cautions in a race was seven on March 7, 1971 while the fewest cautions recorded was two on August 8, 1963, July 31, 1971 and August 4, 1973. • Is ranked third in the NASCAR K&N Pro Series West standings with three top fives. • At the two .250-mile tracks last season, Idaho’s StateLine Speedway and Meridian Speedway, he finished 11th and fourth, respectively. • Leads the series standings headed into this weekend with two wins and three top fives. • Recorded his two wins at California’s Irwindale Speedway and Kern County Raceway Park. • This will be his first start on a .250-mile oval in the K&N Pro Series West. • Is sixth in the standings with one top five and three top 10s. • In his two starts at StateLine and Meridian last year, he finished second and first, respectively. • Is fifth in the standings with one top five and three top 10s. • This will be his first K&N Pro West start on a .250-mile track. • Is ranked seventh in the series standings with one top five and three top 10s. • Is coming off her best finish, fifth, at Arizona’s Tucson Speedway. • This will be her first K&N Pro Series West start at a .250-mile oval. • Heads into the weekend 10th in the standings with one top-10 finish. • Had his best career finish at Tucson finishing sixth after leading 28 laps. • Last season at StateLine and Meridian, he finished 14th and 12th, respectively. • Is ranked eighth in the K&N Pro Series West standings with one top 10. • Last season at the two .250-mile ovals he finished sixth (StateLine) and 18th (Meridian). • Heads into the weekend second in the standings with one win and three top fives. • Registered his first win of the season the series’ last time out at Tucson. • Last season at StateLine and Meridian, he finished fourth and 11th, respectively. • Is ranked ninth in the standings with one top-10 finish. • Last season at StateLine and Meridian, he finish third and sixth, respectively. • Is fourth in the K&N Pro Series West standings with two top fives and three top 10s. • This will be his first series start at a .250-mile oval. • Third-generation driver Todd Gilliland won the season opener at California's Irwindale Speedway on March 19th after leading a total of 33 laps. • Gilliland expanded his win streak to three after winning the second race of the season at California’s Kern County Raceway Park. DAYTONA BEACH, Fla. (May 17, 2016) - Three races into the NASCAR K&N Pro Series season, and very little separates Ryan Partridge and Todd Gilliland. Gilliland has two wins and a runner-up finish. Partridge has two runner-up finishes and a win. The pair lead the way as the series makes its long awaited return to California’s Orange Show Speedway Saturday night. Gilliland, the 15-year-old from Sherrills Ford, North Carolina, holds a slim four-point lead on Partridge in the championship standings heading into the Sunrise Ford 150. The 28-year-old Partridge dominated the last time out at Arizona’s Tucson Speedway, leading 127 of 150 laps on the .375-mile oval. The arena gets smaller: Orange Show is a quarter-mile that has been in operation since 1947. Defending K&N Pro Series West champion Chris Eggleston sits third in the standings, and just 13 points separate third through seventh. That group includes teammates Gracin Raz, who had a win and three top fives in four starts last year on tracks .333-mile and smaller. EVENT SCHEDULE: First Practice: 1-1:45 p.m.; Final Practice: 2-2:55 p.m.; Qualifying: 5:30 p.m.; Autograph Session: 6:00 p.m.; Driver Introductions: 8:15 p.m.; Sunrise Ford 150: 8:30 p.m. The Race: The Sunrise Ford 150 is the fourth race of the 2016 NASCAR K&N Pro Series West season. It is the fourth of 11 oval track events and 14 races overall on the schedule. This is the series’ first visit to the track since September 23, 1978. The Procedure: The starting field is 22 cars, including provisionals. The first 18 cars will qualify through two-lap time trials will the remaining four spots will be awarded through the provisional process. The race is scheduled for 150 laps covering 37.50 miles. The Track: Orange Show Speedway is a quarter-mile oval in San Bernardino, California. It has been one of the longest continually ran track in the nation, since 1947, and hosted its first NASCAR on August 8, 1968 with a Pacific Coast Late Model Division race. Bill McAnally Racing Excelling: Bill McAnally Racing is off to a strong start this season. Three of their four drivers are in the top five of the NASCAR K&N Pro Series West championship standings, with Todd Gilliland sitting at the top. Chris Eggleston trails in third and rookie Riley Herbst follows in fifth. Julia Landauer, also a rookie, heads into Orange Show ranked seventh. Jefferson Pitts Racing Looking to Bounce Back: Jefferson Pitts Racing will be looking to capitalize this weekend at the Sunrise Ford 150 after a rough showing at Tucson Speedway. Noah Gragson, who won at Tucson last year, finished in ninth after experiencing engine problems. While Gracin Raz, who finished runner-up in 2015, was forced out of the race after 72 laps due to engine woes as well. Gragson and Raz are sixth and ninth in the standings, respectively. O’Donnell Returns: Dan O’Donnell will attempt his NASCAR K&N Pro Series West debut at Orange Show. O’Donnell failed to qualify at California’s All American Speedway last season. NASCAR K&N Pro Series Wast Returns: The K&N Pro Series West will return to California’s Orange Show Speedway after a 38 year absence. The track hosted eight series events from 1968-78, with Jack McCoy celebrating in Victory Lane at four of the events. For a while, it did not look as though Mother Nature was going to cooperate with the proceedings this past Saturday night at Redwood Acres Raceway. Following the roadrunner trophy dash, a heavy mist dropped over the 3/8-mile paved oval which delayed the racing action for nearly an hour. Thankfully the weather cleared up and fans were able to see a full slate of racing in all six local divisions on Pepsi Night at the Acres. The California State & Federal Employee Credit Union roadrunner trophy dash was won by Richard Stancliff. The two heat races were taken by Jennifer Murrell and Stancliff. Rookie driver, Bob Ratzlaff showed surprising strength in the first portion of the 20-lap roadrunner feature as he led six of the first ten laps. However, Ratzlaff broke the 21-second break-out rule and because he did not adhere to it, he was scored off the lead lap. The second half of the feature was dominated by Shawn Molloy who was driving Daniel Buell’s car for the night. Molloy and Stancliff staged a great duel in the final handful of laps. Molloy got the advantage in the end and claimed his first ever main event victory. Tyler Peach ended up second followed by Steve Paiment, Stancliff and Patrick Sproul. Rookie, John Lally won the Fortuna Wheel & Break bomber trophy dash in his first race at the Acres. James Moore took the heat race victory. Lally led lap one of the 25-lap main event but by lap two Avelar was in the lead. Avelar blitzed the field, dominating the rest of the event and taking his second straight bomber feature win. Moore took second over Lally, Ryan Ahrens and Jimmy Sorrels. Rick Estes took the trophy dash win for the Humboldt Hydroponics mini stock division. Heat one featured a photo finish with Jordon Paiment narrowly defeating Brian Murrell, Jr. Jarrett Mayo was the winner of the second mini stock heat. Michael Lawrence led lap one of the 25-lap main event but on lap two, Paiment maneuvered his way to the lead. On lap six, Estes found the line past Paiment to take over the top position. The race featured a fantastic four-way battle between Estes, Eugene Palmer, Gary Klinetobe and Mayo with all four running nose-to-tail. Palmer was all over Estes and tried to use the high line to get to the lead. Palmer edged Estes to the line on the white flag lap and the two raced side-by-side in a thrilling battle for the win. Estes got the grip coming off turn four and was able to hold off Palmer to take the win. Klinetobe placed third while Mayo and Daniel Buell rounded out the top five finishers. Tommy Payne won the four-lap Thunder Roadster trophy dash which featured an incident by Chris Sarvinski on the final lap while coming to the flag. Unfortunately, Sarvinski was finished for the evening. Payne also took the win in the heat race. Craig Baker led the opening four laps of the 30 lap affair before yielding to Donnie Brown. It wasn’t long before Brown’s brother, Aaron Byers began to challenge for the top position. On lap nine, Byers took the lead. Brown had his hands full all race long for second position as Payne applied pressure. In the closing stages, Robbie Nelson made his presence known as well. With three laps remaining, Nelson used a three-wide pass to take the second position. Nelson did not have enough time to catch the leader though. At the checkered flag it was Byers winning his first ever Thunder Roadster main event. Nelson took second while Payne, Brown and Ronnie O’Neil placed second through fifth. After several seasons away from racing, Robert Miller returned to take the trophy dash win in the Legends division. Miller had a scary wreck at the start of the heat race but fortunately he was okay and was able to return to the main event. Brad Curtice was the winner of the 10-lap heat. Curtice was absolutely dominant in the 25-lap main event as he was able to lead flag-to-flag to post his first feature win at the Acres. Miller placed second ahead of Brent Mack. Keith Van Dyne made the long tow from Washington to place fourth while Anissa Curtice finished fifth. The Mid City Motor World late model division trophy dash was won by Marty Walsh who also took the win in the heat race. The 50-lap feature ended up being cut down to 30 laps due to several incidents and curfew. The first incident occurred on lap one when Kenny Demello got loose off turn two collecting Dustin Walters. Both drivers were out for the rest of the race. The second incident occurred in turns three and four when Jedd Ambrosini and Jim Walker tangled collecting Mic Moulton. Ambrosini and Walker were able to continue while Moulton’s car suffered severe right front damage. Walker suffered damage on his left front fender which caused his tire to smoke and led to what was the most frightening incident of the night. Going into turn three, sparks flew from Walker’s chassis hitting the pavement. Walker hit the third turn wall hard. Thankfully though his car was severely damaged, Walker was able to exit the car under his own power and was unharmed. At the front it was Walsh who was able to avoid the various disasters. At the finish it was Walsh sweeping the night and winning his first main of 2016. Richard Knight placed second over Tim Crenshaw who was making his first-ever start at Redwood Acres Raceway. Ambrosini placed fourth over Eddie Klein. Racing returns to the Acres pavement for a special Sunday race on May 29th. While the late model division will be off for the night, the other five local divisions will be accompanied by the popular North State Challenge Series modifieds. Grandstands open at 5:00PM while racing begins at 6:00PM. General admission tickets for the event are $15, senior and military are $12, children 12 and under are $2 while children under five are free. Members of the military who have their military ID are also free. For more information of everything going on at Redwood Acres Raceway, please visit the track’s official website www.RacingTheAcres.com.